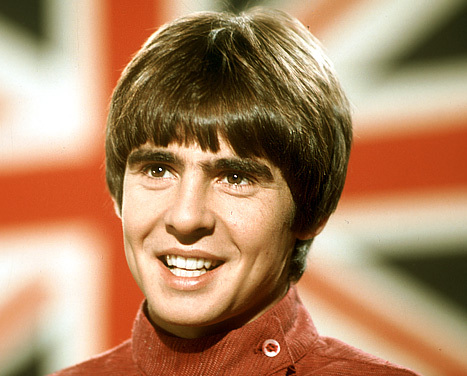 A generation of women of a certain age is mourning the passing of one of our earliest and most enduring crushes, Davy Jones of The Monkees. Daydream Believer was the first single I ever bought. My older sister and I had a little record player, just big enough for 45s, and we played that song over and over and over. We may both have been swooning over Davy, but I don’t remember having to compete with her for the right to his attention, should the opportunity ever present itself. Perhaps she preferred a different Monkee (hard though that is to believe), because if not, I never would have been able to think of him as my own. My sister played the older-sister-card when The Beatles arrived; that’s how come Paul was her Beatle. John was already married when they got to America, and therefore out of the running, so she instantly laid claim to Paul. It didn’t matter that I was nine and she was eleven at the time, marrying a Beatle seemed plausible to us. I didn’t mind that she snagged Paul; I would have chosen George anyway. That left Ringo for my little sister. These assignments were immutable and to this day I think of George as my Beatle. My older sister and I shared a brief fascination with Leonard Whiting, the handsome young man who played Romeo in Zefferelli’s Romeo and Juliet. We tore pictures of him out of teen magazines and taped them to our shared bedroom walls, but we didn’t fight over who he belonged to. He was more of a passing fancy. I don’t think I ever saw him in another movie, and I don’t remember anything else about him, but my conviction that he is the perfect Romeo has never wavered. There are those who are quick to point out that The Monkees didn’t know how to play their instruments when they were hired, much less write their own music, and were therefore, not worthy of admiration, but disdain. To those people I say ─ who asked you? When I was little, I loved their music. Pleasant Valley Sunday remains one of my favorite songs of all time, and did you know that that was written by Carole King and Gerry Goffin? Songwriters don’t come much more talented than that. After I heard the news, I spent some time on the Internet poking around into all things Davy Jones and discovered something wonderful. 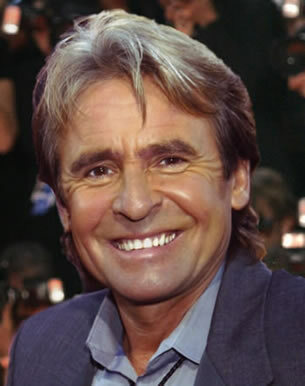 It seems that Davy Jones was not only a pop star, he was a nice man. This article in the UK’s Daily Mail, written several years ago, is worth a few minutes of your time if you are one of those women of a certain age. This entry was posted in Uncategorized and tagged Davy Jones, Daydream Believer, The Beatles, young love, Zefferelli's Romeo and Juliet. Bookmark the permalink. What a nice tribute. Yes, Davey Jones is one of my earliest crushes to (if you don’t count “Major Don West” from Lost in Space, or “Robin” from Batman, also the future husbands of my childhood dreams… I too spent some time looking up all things Davey and was so pleased that he was truly a nice person. Thanks for writing about him! I enjoyed The Monkees TV show, even though I saw it in reruns. I don’t blame you for holding out hope. Crushes remain strong, even after marriages and births. Even when they subsequently marry people way younger than you. First you’re too young and then you’re too old! My cousins and I used to decide which one of us would be each Brady girl, so that’s way worse than having dibs on marrying a star! Okay, about that Brady thing? You know you can’t come back and edit your comment when you decide that was TMI right? The Monkees were my first musical love. My best friend (whom I’m still friends with so many years later) and I got into them during their popularity resurgence in 1986. Micky is her favorite, and Davy is my favorite, even so many years later. She actually was able to interview each of them when she was still working for a radio station, and got to interview Davy twice. For many years, I’ve been pretty sure I would’ve picked Peter as my fave rave had I been older than six when I got into them, but changing my favorite member of my first musical love feels sacrilegious, and even more so now that he’s left the material world. Mickey? It just goes to show, it takes all kinds! It’s so funny, I was barely aware that there was a resurgence in 1986. I’m glad we can share the feelings despite the age difference. The Monkees were awesome and I also had a crush on Davy even though they were in their prime before I was born. Their prime or their youth? Surely not their prime… Although they do say that men reach their prime at 18 and women in their 30s! What a wonderful story! Honestly, though, when did you become too cool for school? *I* would have gone to that club, but I would have been too young. Of course, later, when I would have been old enough, I wouldn’t have been caught dead there. Sigh. Snort. I was in the *concert* band. . We didn’t *do* Monkees. (I’m older than you, remember? I was in high school.) I have spent a good portion of my adult life trying to catch up on my teenage music history. In-A-Gadda-What? Although I can sing the first verses to many Monkees tunes and know the choruses for most. I think that’s the effect of the TV show. I did like that Peter Tork played french horn, though. I cried when the Monkees broke up but wasn’t as concerned when the Beatles split. I had a 45 of the Last Train to Clarksville that I cut out off the back of a box of cereal that I played for years. Let’s have that cup of coffee. Gretchen, you are too kind. And I’m right there with you on Illya K.! Coffee it is. Look for email on the subject.